Though considerably smaller than many of it's dinosaur contemporaries, Didelphadon is actually quite large for a latest-cretaceous mammal. 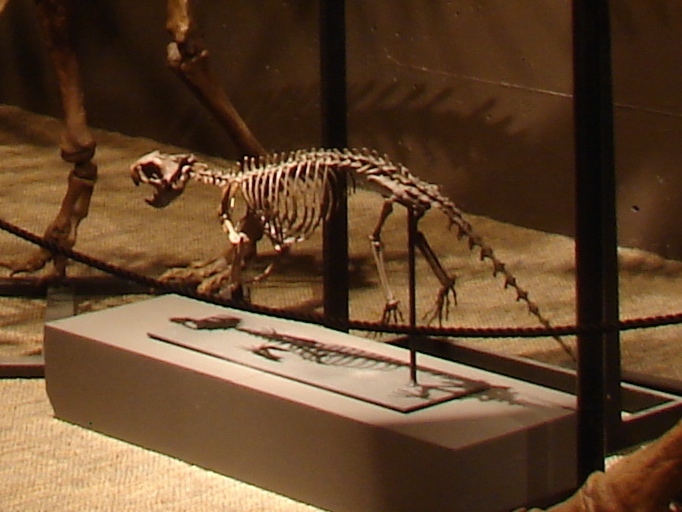 This marsupial mammal probably had a role in the coastal plain ecosystem that resembled that of a modern-day otter. Strong jaws on this creature suggest that it was capable of crushing shells and it is infrered from teeth that this omnviorous mammal probably fed on mollusks.